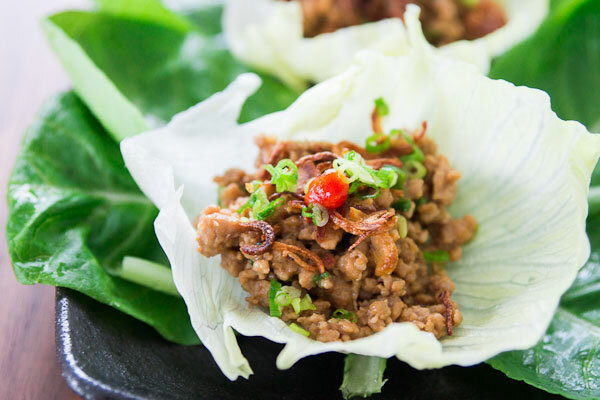 Crisp cups of lettuce filled with savory, sweet and spicy chicken make for fun party bites, but they’re also great for a quick low-carb meal that’s more filling than a salad. It’s a common weeknight meal at my house because it’s easy to prepare and you can get creative with the filling. This time, I used a blend of hoisin sauce, soy sauce and Sriracha, for a nice balance between sweet, savory and spicy. 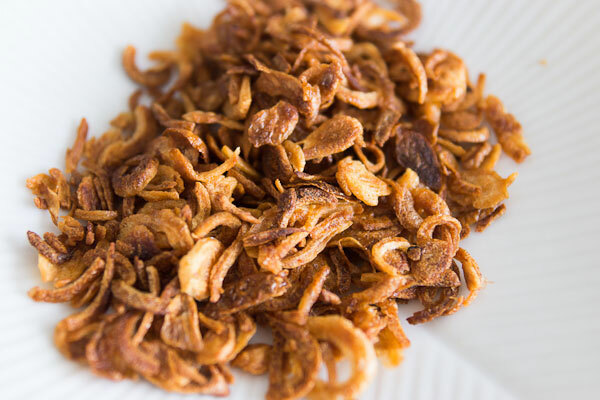 The fried shallots that go on top add some texture and pack a wallop of flavor. Try seasoning the meat using chili powder, garlic and salt for lettuce tacos, or fish sauce garlic and basil for something with a Southeast Asian flair. Likewise, I used chicken for this dish, but you could just as easily use ground beef, pork, or even crumbled firm tofu to make this dish. Fresh herbs or nuts make a great topping, and of course you can use any leaf vegetable that will hold a filling. If you’re entertaining, just fry the shallots and cook the chicken mixture ahead of time, and store the trimmed lettuce cups in the fridge. When your guests start arriving, pop the chicken in the microwave to reheat for a quick canapé. 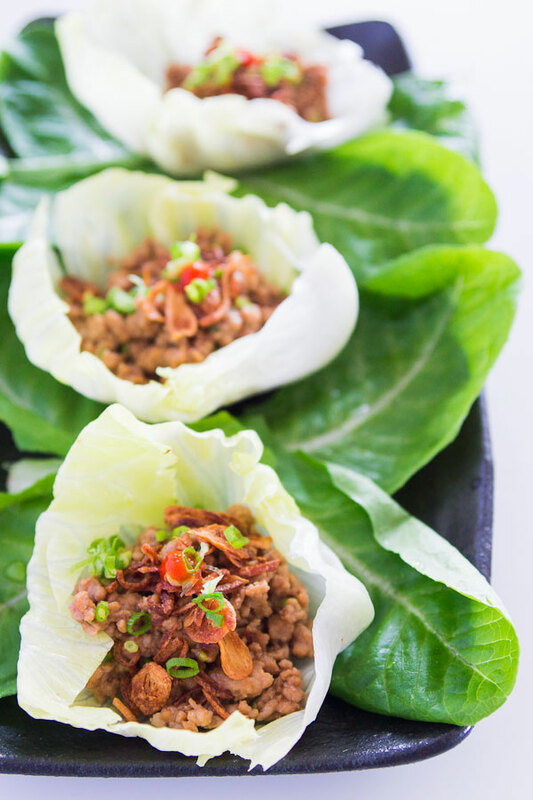 Crisp cups of lettuce filled with savory, sweet and spicy chicken make for fun party bites, but they’re also great for a quick low-carb meal that’s more filling than a salad. 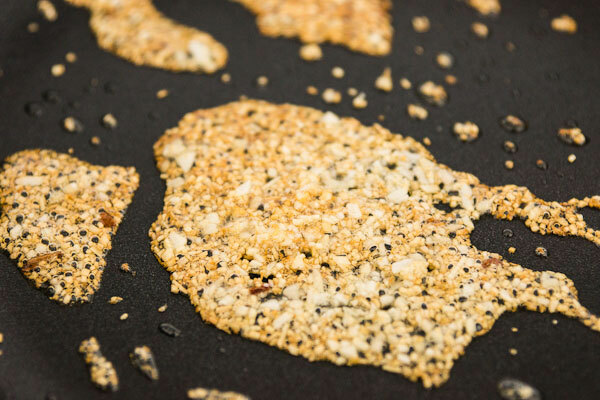 Food blogger Marc Matsumoto says it is easy to prepare, and you can get creative with the filling in a full post on the Fresh Tastes blog. Remove the large outer leaves of each head of lettuce and take about 8 smaller leaves from the center of each head of lettuce. It's easier to peel off the leaves whole if you cut the stem of each leaf and peel them from the stem end. Trim the small leaves into cups with kitchen scissors, and put them in a large bowl of ice water. The cold water helps crisp up the lettuce. Save the larger leaves for a salad. Add 1 inch of oil in a small saucepan and heat over medium high heat. Peel and slice the shallots into thin rings. Prepare a paper towel lined wire rack. When the oil is hot (you can test it by adding a shallot, if it sizzles right away, it's hot), add half the shallots and fry until golden brown. Be careful not to burn them or they will taste bitter. Use a slotted spoon to transfer the fried shallots to the prepared rack. Repeat with the rest of the shallots. Add the meat, hoisin sauce, soy sauce, potato starch and Sriracha to a small bowl, and then stir everything together to combine. 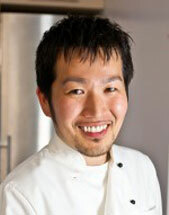 Be careful not to over mix it, otherwise it will be hard to crumble it as you cook it. In a frying pan, add 2 teaspoons of oil along with the garlic and ginger and fry until they're golden brown in color. Add the seasoned meat and stir fry, using a spatula to break up the meat so that there are no clumps. When the meat is cooked, remove the pan from the heat and add the scallions. To serve, drain and dry the lettuce leaves off. Add a mound of meat, and then top with the fried shallots. Add some extra hot sauce if you want more heat.